My friend and I were in a steak kind of mood, but not one of those 100$ dinner moods more like 50$ mood. 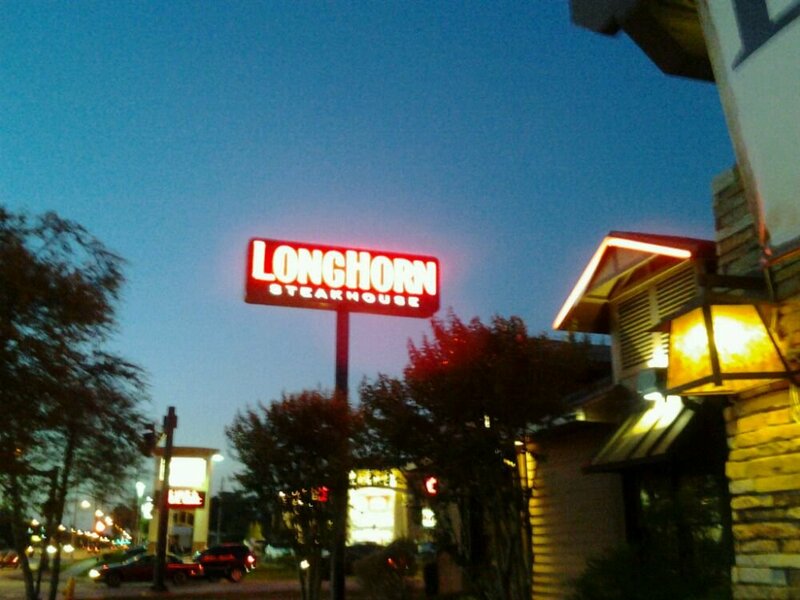 After some brain storming we decided on Longhorn. Not my usual choice, I shun chains as much as possible, but I have eaten it Longhorn before and found it acceptable, and my bestie agreed. 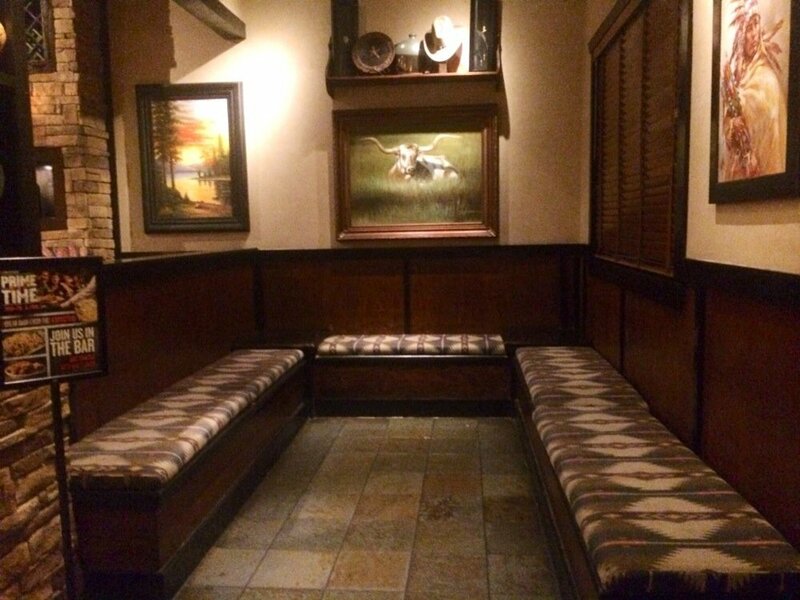 If you have been to Longhorn, then you know they are pretty interchangeable in setup and decor. 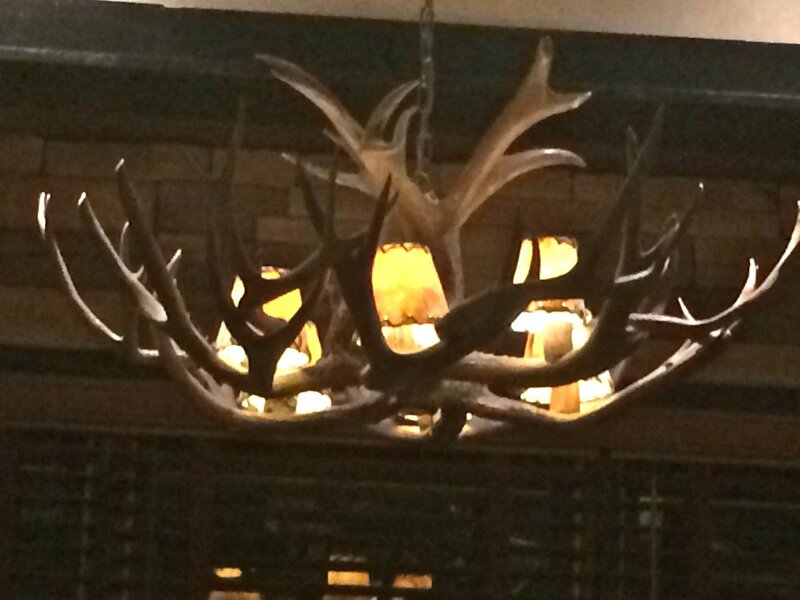 Spacious, dark wood, leather booths, heavy on the cowboy theme, big old bar. An inviting space without being tacky. Once seated we were greeted by our server, Andrew who amazed and amused us during our meal. We were happy with his style. My friend commented he looked like a young Jamie Foxx, and indeed he did! As always we started with some wine, Longhorn offers is a Long Drink. for a small additional fee you get more wine than the normal carafe, a bit less than two full glasses of wine. This makes the whole driving thing less an issue. 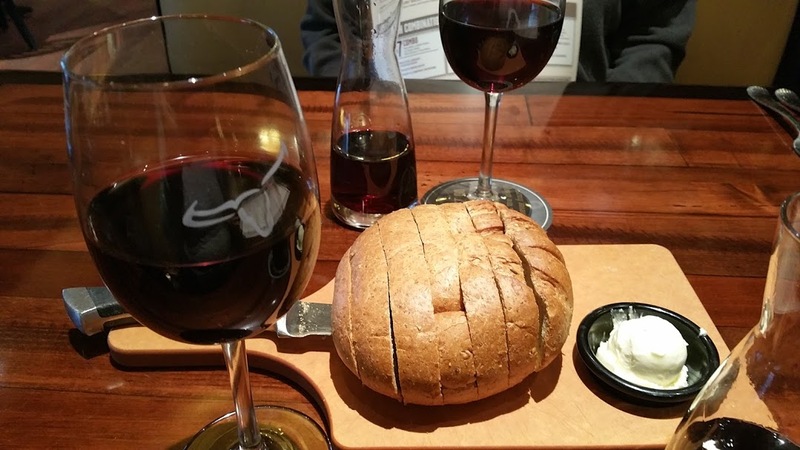 Our wine and bread arrived and we looked over the menu. When we eat together, we normally order too much food but the time our entrée arrives, we are full, so we went light. 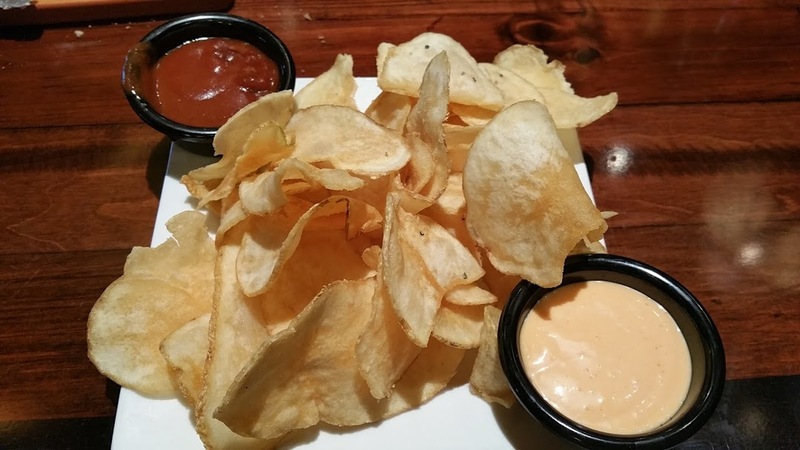 Kettle Chips, with a barbecue and thousand island dipping sauces. Chips were nice and crisp, no grease and salty. The dipping offerings were just meh! 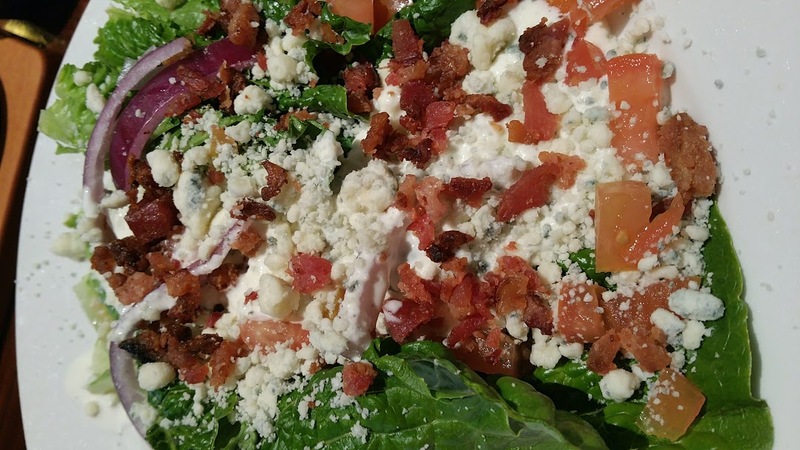 We also shared a wedge salad, red onions, diced tomato, with plentiful blue cheese and bacon dressing. Don’t think wedge like iceberg lettuce think romaine, long bright green ultra fresh spears covered with this great mixture. We both dug into this dish. My friend chose the NY strip with sweet potato, me the rib-eye with loaded baked. They both looked good when put on the table. According to my friend the strip was just a little under cooked, but sending it back almost insures it would be over cooked on return, she continued. It really was a nice looking piece of beef and she quite liked it, and almost finished it all. 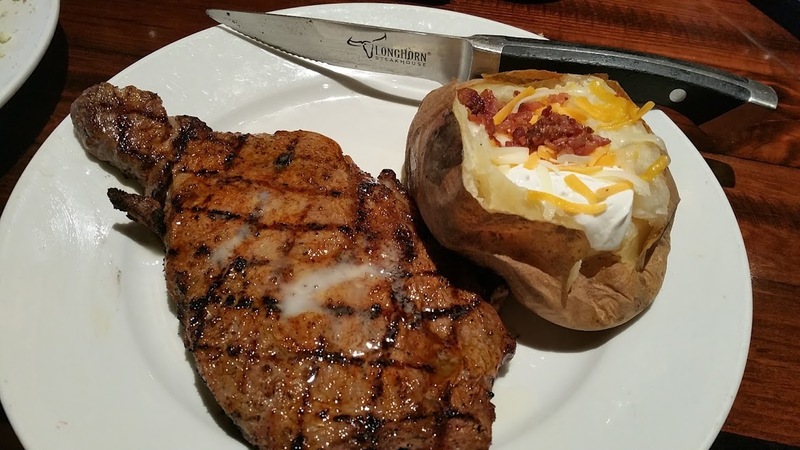 When the rib eye arrived, at first glance all looked perfect, but soon it was evident there was not enough butter on the potato. I did ask Andrew if he would bring me all the butter in the kitchen, he almost did. If I choose to eat unhealthy, I want to do it correctly. Once I had my quota of butter, it was time for the taste test. Surprisingly this rib eye was not a fatty as others I have had, but very well marbled. Cooked a perfect med rare, juicy but just a tad lacking in flavor. Perhaps a bit more salt before cooking may have fixed that. 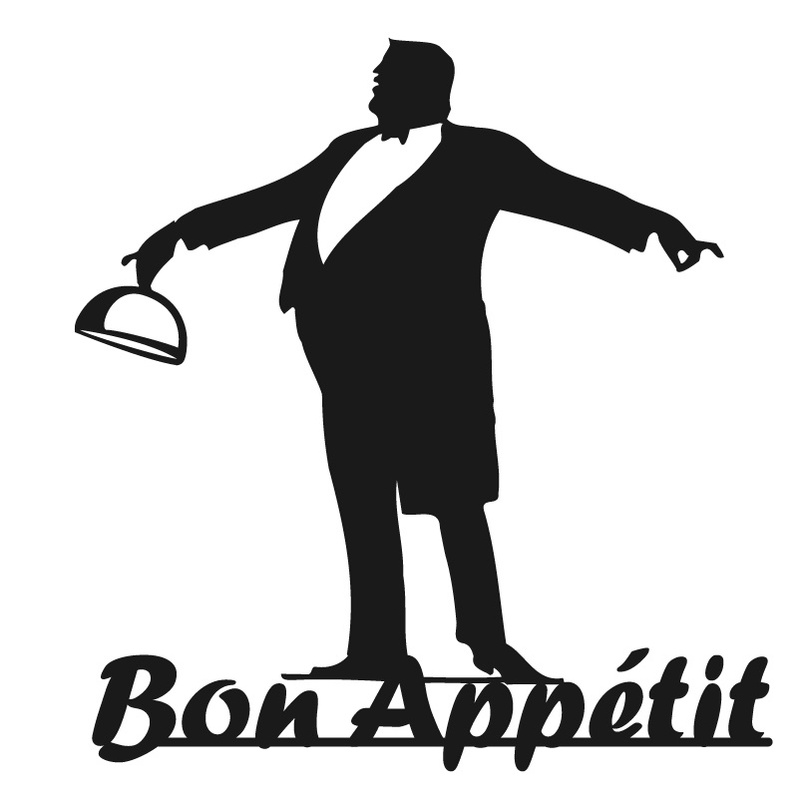 Overall we declared the meal a success. 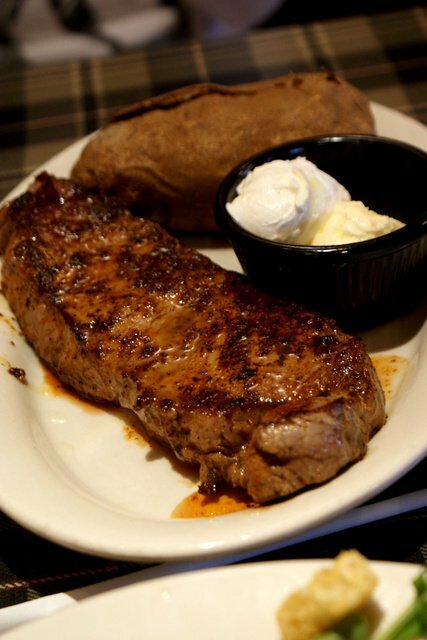 Have we had better steak for sure, but for the price it was perfect. We normally just have the server split the bill in half then throw out our cards, So all told for about 70.00$ which we split it was a win, win. Good company, good food at not a killer cost. 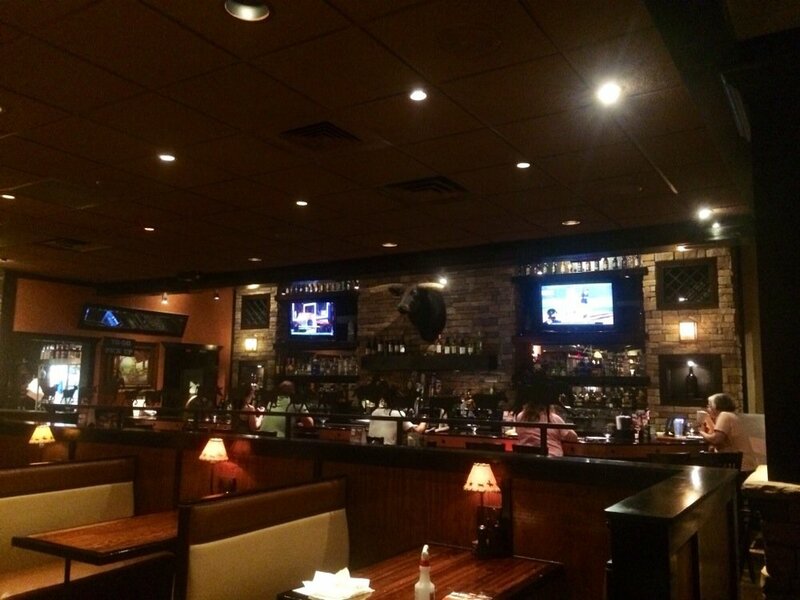 So if you find your self craving a beef fix, but not wanting to spend the big $$$, Longhorn is located all over this city. Grab you mates, your kids, your parents and make a night of it.